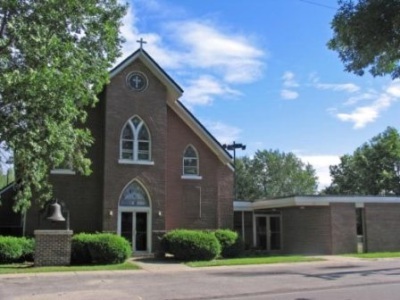 In 1990, the Cities of Ellsworth and Jewell entered into a joint law enforcement agreement. 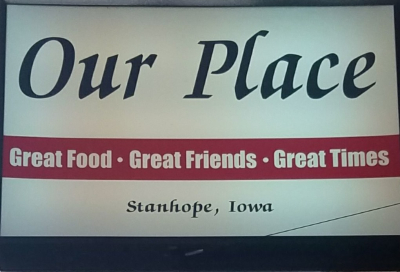 In 1997, the City of Stanhope entered into the agreement. 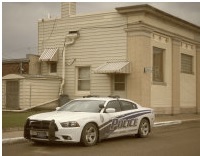 The EJS Police Department was then created. Chief Steve Butler has been with the EJS Police Department since 1996. Prior to becoming Chief of Police, he was employed by the Tama Police Department for 14 years. Chief Butler is a certified EMT and works closely with the three ambulance services that cover the Cities of Ellsworth, Jewell and Stanhope. Officer Kaleb Morton has been with the EJS Police Department since October of 2017. He successfully completed the Police Academy in April of 2018. Officer Robert Vokoun is a part-time police officer. He covers special events or when the other officers are on vacation. The department offers the DARE (Drug Abuse Resistance Education) Program to the South Hamilton Community School and the department also actively participates in SALT (Seniors and Law Enforcement Together) as part of a community policing program. The department is always looking for ways to improve interactions within the communities and are always willing to talk to any community group. 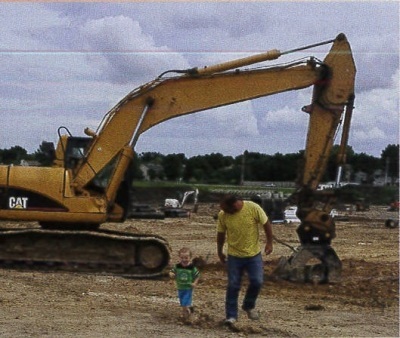 Services include: Excavating, Rough Grading, Sub Grade, Finish Grading, Water-Main, Sewer-Main, Water Services, Sewer Services, Plumbing, Remodeling/Additions, Handyman/Maintenance. Every job is done with Fair Pricing, Quality, Experience, Professionalism. Owners Ernest and Sophie Amstalden Renovated a 110-year-old building that house the studio. Students come from a 100-mile radius to take piano instruction at the studio. Every day, we improve life with energy. 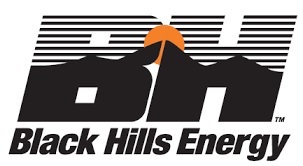 We’re an investor-owned utility and part of the Black Hills Corporation family. Our more than 600,000 customers live in hundreds of communities throughout Colorado, Iowa, Kansas, Nebraska and Wyoming. We emphasize the traits that have contributed to our success in the past and will be critical to our success in the future. We strive to be the energy partner of choice. Whether our customers are served by our regulated or non-regulated businesses, we want them to value our service and business relationship. Every day, we want to be improving life with energy. We produce, market and deliver the vital electricity, coal, oil and natural gas that our customers need. Through our efforts, products and services, we also share our personal energy to strengthen our communities and support growth and development. We are proud of our employees; they represent what we stand for. There are several key values that have been fundamental to our success for the past 125 years, and there are others that will be vital to our future success. These are the values we feel align us to our vision and that our employees demonstrate every day. Cooperative Telephone Exchange serving Stanhope and Kamrar area since 1946. The Cooperative Telephone Exchange was the first exchange in the United States to have all one-party buried lines and push button phones. 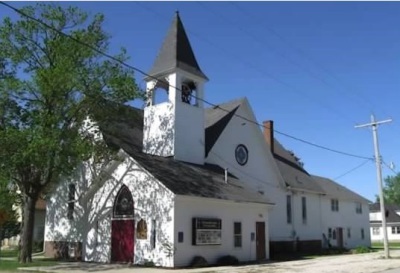 The Martin Telephone Line was put through Stanhope in 1893, giving the town telephone connections with the County Seat, Des Moines, and all neighboring towns. At this time there were 23 lines connected to the switchboard that served twelve separate companies. They were consolidated into one company in 1946 when the company was incorporated and became known as the Cooperative Telephone Exchange. 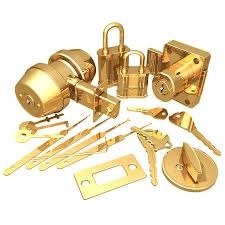 Specializes in Locksmiths. Locked out, lost your keys? Was established in 1993. January 1987 – Farmers State Bank, Stanhope merged with First State Bank. 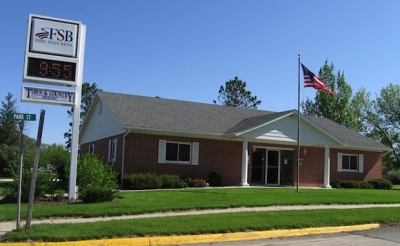 Robert Van Diest had purchased Farmers State Bank of Stanhope from John Walker in 1984, but it wasn’t until 1987 that the merger with First State Bank took place and the Stanhope bank was officially a branch of First State Bank. Since that time First State Bank has acquired Liberty Savings Bank in Webster City and Farmers Savings Bank in Vincent and Badger. Offerings: 1,197,000 bushel grain storage capacity, NH3, packaged chemicals, cardtrol gas & diesel, LP storage & delivery, feed mill (bulk & bagged feed). 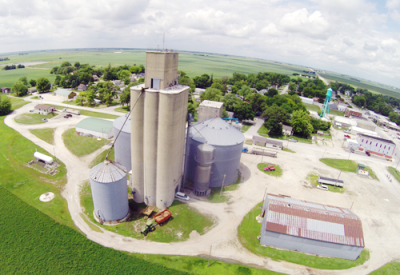 Since the early days of the 1900's, Central Iowa farmers knew they needed a place to market their grain for a fair price. Now, over 100 years later, Heartland Co-op has evolved into the cooperative it is today with its 71 locations providing products and services to its farmer members/patrons. At each benchmark during the past 100 years, Heartland Co-op looked at the future needs of its members and chose growth over stagnation. The old, original elevators served the needs of those turn-of-the-century farmers who unified in order to put some clout in their grain marketing. We're still doing everything we can to give Heartland-area farmers a voice in the future of agriculture. We believe in differentiating ourselves from the competition by providing unique, value-added and innovative solutions to our customers. 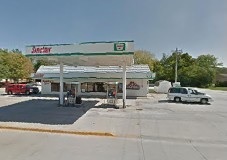 Currently we are proud to have over 5,800 members and conduct business with them and others at one or more of our full-service, customer-oriented 71 cooperative locations around the state. If you have an upcoming wedding or event you're planning and would like to reserve your date, we are always available to discuss your ideas and start the planning process! Browse this web site and check out some of the scrumptious creations Linda and Suzanne have created. Do you have a particular cake or cookie request? Contact us today to discuss your needs and budget . . . we are willing to work with you to make your event special and at a price you can afford. 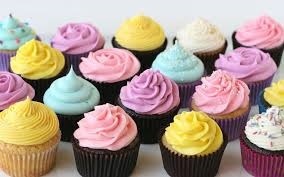 Please consider Lindy-Sue Sweets for your next gathering, office party, school treats, or life event. We would love to help you add that special touch! FYI - We are licensed by the Iowa State Department of Inspections and therefore approved to provide school treats from our licensed kitchen. We also provide free delivery to South Hamilton Schools. Just tell us the grade and teacher's room to deliver it to . . . it's really that easy! All your basic hair needs. Call to set up an appointment today! Sinclair Oil Corporation has been helping western America drive with confidence for over 90 years. Formed from the assets of eleven small petroleum companies in 1916, Sinclair is one of the oldest continuous names in the oil business. The first corporate emblem, SINCO, was registered November 1, 1916. Sinclair began development of the apatosaurus (brontosaurus) in its advertising, sales promotions, and product labels in 1930. The apatosaurus was registered as a Sinclair trademark in 1932. An exhibit at the 1933 Chicago Worlds Fair highlighted dinosaurs and established Sinclair as the company that featured the apatosaurus. Again in 1964 at the New York City Worlds Fair, Sinclair proudly displayed an exhibit featuring nine life-sized dinosaurs highlighting its unique association with the age of the dinosaur—an age representative of the beginning of the formation of crude oil. The current Sinclair trademark is one of the most recognized company emblems in the United States. The pentagon border and apatosaurus figure was registered in 1959. Most oil companies have modified their corporate emblem while undergoing reorganization or ownership changes. Sinclair's trademark has remained unchanged. With the current popularity of dinosaurs in general, the Sinclair trademark and the sales promotion items using the apatosaurus are more popular than ever. 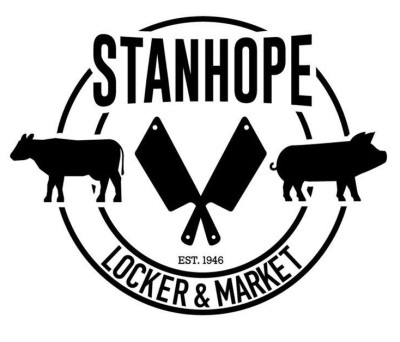 Stanhope Locker was established in 1946 in the heartland of Iowa in the little town of Stanhope. We are well-known for our award winning beef jerky and our delicious beef sticks. Our recipes are made with the best cuts of Iowa beef and pork and all of our products are produced with a personal touch. We strive to provide our customers with the highest quality meat. Satisfaction Guaranteed! 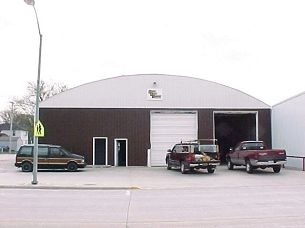 Van Diest Supply Company now employs over 650 people, has 44 buildings at Webster City, Iowa with approximately 28 acres under roof and 16 outlying distribution centers located across the Midwest. Van Diest Supply Company is committed to the crop protection industry. 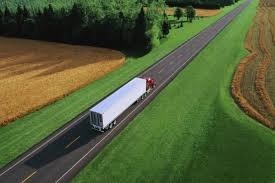 Van Diest Supply Company is unique in the wide array of services offered to the industry: Product Development, Process Development, Formulation, Liquid Bulk Storage, and Distribution. At Van Diest Supply Company PEOPLE MAKE THE DIFFERENCE. We believe people deal with people who have a sincere interest in their business and a desire to help them. We strive for long-lasting partnership relationships with our Customers, our Suppliers and our Team Members. All of our buildings are made 100% with steel made in the United States. They were built onsite by local crews who live here in Iowa. Wooden storage buildings are susceptible to insects and other pests. The floor has a patented lip to keep moisture from entering. Sunday Schedule: 10:00 AM Worship 9:15 AM Fellowship. Sunday Schedule: AM Worship AM Fellowship.